Lets look at the first point. Transporting water and glucose around the plant. 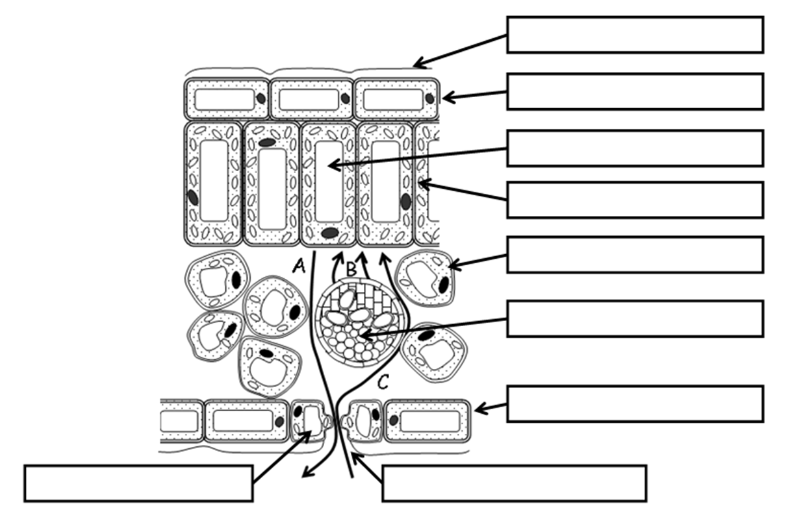 This may seem simple, but plants don’t have muscles like you and me, nor do they have a pump to push the fluid through. 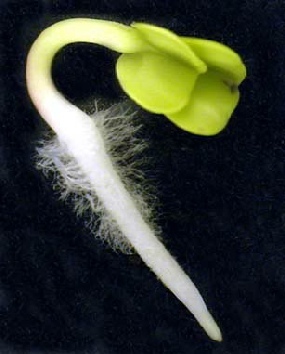 However what they do have, is a Xylem and Phloem which sit in the spongy layer of the leaf. 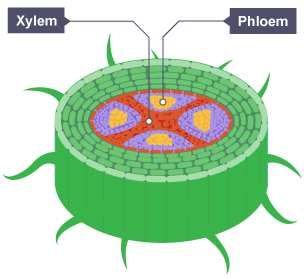 The xylem and phloem stretch from the roots all the way to the top of the plant. The xylem is responsible for the movement of water through the plant. Since the concentration of water is so much more at the root, the water moves up the xylem to the leafs where the water potential is lower. 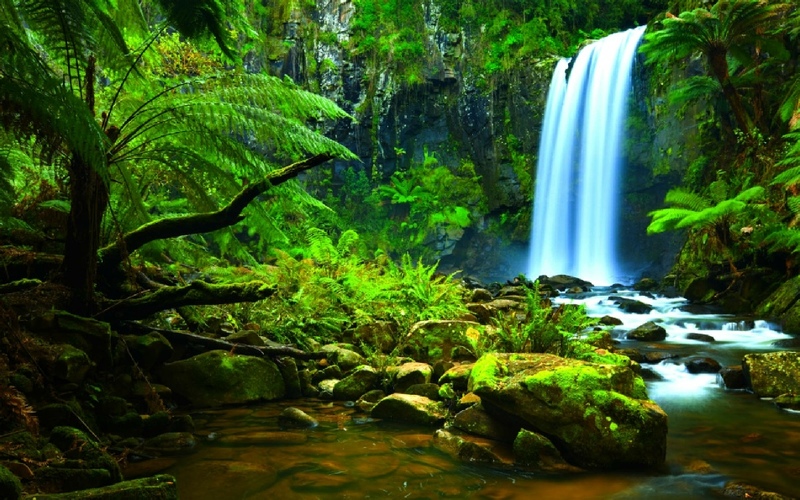 This movement of water is called transpiration. The phloem transports carbohydrates and amino acids, from the leafs to the roots and stem of the plants. This movement of nutrients is called translocation. The movement in both these tubes is one way. The xylem allows water to flow up, while the phloem also nutrients to flow down into the stem and roots. 2. What is the purpose of the waxy layer covering the leaf? 3. What layer is responsible for photosynthesis? 5. What is the name of the structure which carries water through the plant? 6. What is the name of the structure which carries food through the plant? 8. Water is absorbed through the ________ and transported up the _________ towards the leaves, so it can be used in ___________ to create __________.